There is a very important moment in a life of every person when it comes to make a decision that will define one’s future. For school, gymnasium and college graduates is the choice of their future profession and thus a choice of a higher education institution. More than 30 years ago, I was faced with such choice and I am glad that I decided on the Faculty of Biology and Chemistry. The high-quality education that I got there allowed me and thousands of other graduates of the Faculty to become successful professionals: school teachers, university professors, scientists, employees of organizations whose activities are related to biology, chemistry and geography. Student life at the faculty is diverse, eventful and extremely interesting. It tightly connected with the specific character of the Biology and Chemistry training (field training, international internship) and it rather differs from the student life of the majority of other faculties of TSPU and other universities. A small group of students is trained by highly qualified teachers, which makes it possible not only to achieve a high competence of future professionals, but also to form a solid and kind team. I along with employees and students of the Faculty of Biology and Chemistry invite you, dear graduates, to make the right choice and join the friendly ranks of our remarkable faculty. Joy go with you! 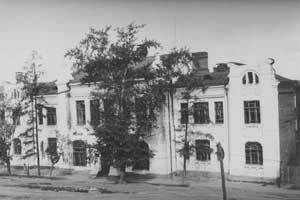 The Chemical department has existed since the establishment of the institute that was founded «... by the highest order of the Emperor Nicholas II on July 1, 1902». The faculty offers bachelor training courses in "Pedagogical education" (profiles: Biology and Chemistry, Biology and Geography) and master courses (profiles: Biological Education, Chemical Education). We also offer postgraduate course in Biological Sciences, Ecology (chemistry) profile. Pedagogical Education in Biology and Chemistry. The student community of the Faculty of Biology and Chemistry is friendly and united due to the traditions of the faculty and the features of teaching. The main feature is field practices, one of the students’ most favorite events in the educational process at the Faculty. First and second year students participate in summer field training in botany and zoology based on the TSPU facilities on the banks of the Ob River in the village of Kireevsk. There they collect herbariums, study the flora and fauna of the area, collect material for course and final qualification works. In the afternoon they work and evening is time for friendly chat and leisure. Students from Wroclaw University (Poland) together with our students participate in field training. 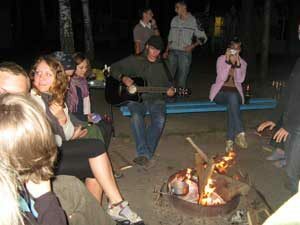 The motto of Polish students is "The wilder is life, the better". During the third year of study, the most diligent students are invited to participate in filed training carried out in Poland, Mongolia and in Sankt-Petersburg. The Faculty is equipped with modern laboratories and rooms to provide a high-quality education. Our students are big fans of sport. They participate is sport competitions and TSPU provides gyms, wonderful swimming pool, sports and fitness complex, sport clubs. 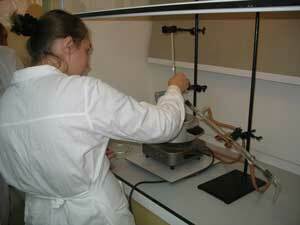 Under the supervision of professional teachers students are actively involved in scientific research work. At the Faculty students are given the opportunity to engage in floriculture, floristics, phytodesign. Winners of various competitions (Best group, Pedagogical debut - contest in pedagogical skill), exhibitions (floral works, design works) are rewarded with trips to the cities of Russia and abroad.